Five hires and two promotions. PeopleStyle—the online fashion and beauty arm of People—has increased its team. 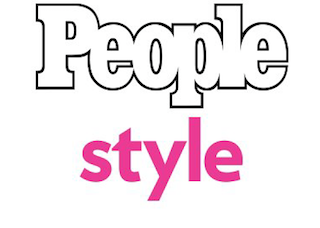 Launched just last year, PeopleStyle.com now has 13 staffers, led by style and beauty director Andrea Lavinthal. New additions to the PeopleStyle team include five new editors—Sharon Clott Kanter, Brian Nichols, Jillian Ruffo, Sarah Ball and Emily Kirkpatrick—and promotions for editors Alex Apatoff and Brittany Talarico. Clott Kanter, most recently a senior editor for InStyle, is now deputy style director. Nichols joins PeopleStyle from T: The New York Times Magazine. He’ll serve as photo editor. Ruffo, who most recently worked for Bustle as an associate branded content editor, is now PeopleStyle’s associate digital beauty editor. Ball, previously with StyleWatch, has been named market editor. Kirkpatrick, most recently a freelance writer for Lucky, BuzzFeed, Paper and more, has been named associate editor. Apatoff has been promoted from senior style editor to deputy style director. Talarico has been promoted from style news editor to senior style news editor.